Welcome to Boozinette. 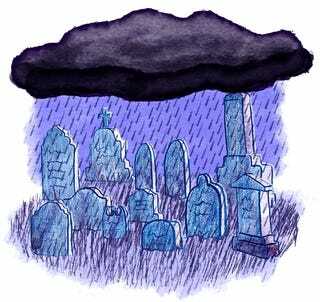 This is the Graveyard Tryst. In a small saucepan, bring all ingredients to a boil. Kill the heat once the sugar has dissolved. Let steep for 15 to 20 minutes. Strain, contain, let cool and refrigerate. Use to sweeten with a bit of bite. Muddle peppercorn syrup & three sprigs of thyme in a mixing glass. The end result should look gruesome. 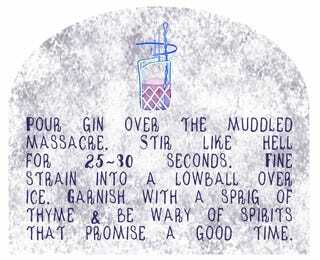 Pour gin over the muddled massacre. Stir like hell for 25 to 30 seconds. Fine strain into a lowball over ice. 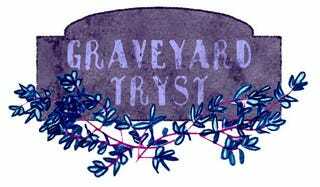 Garnish with a sprig of thyme and be wary of spirits that promise a good time. 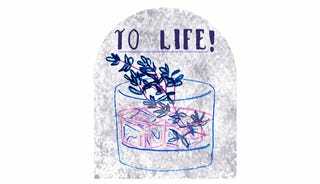 David is an artist from Ridgewood, Queens, that makes drinks, drawings, and questionable decisions in the name of scientific regress. You can find him bartending at Huckleberry Bar when he isn’t at his drafting table. Follow him @drawdavedraw.